Talented director Atlee made an impressive debut with Raja Rani, and the movie ended up as a massive hit all over. Arya, Nayanthara, Jai, and Nazriya played the lead roles in this romantic entertainer and after more than three years, he is back with Theri. Vijay has showcased in three completely different shades in it. The movie has been undershooting for over eight months, and the makers waited for a decent and comfortable release date as they have invested Rs 100 crores on the film. Samantha and Amy Jackson played the female leads in the movie and Anirudh Ravichander composed the music. The audio of the film is already a huge hit all over, and the theatrical trailer raised the heat and expectations on Theri. The trailer is a complete package, and the expectations are huge in the film. Kalaipuli S Thanu produced the movie on V Creations banner. 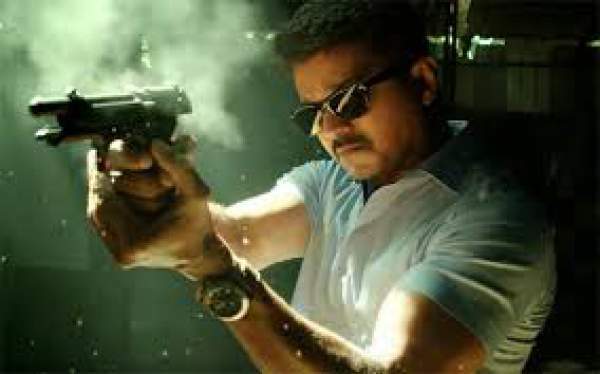 Vijay pinned huge hopes on Theri, and he has been intensively promoting the film across Tamil Nadu. The makers of the movie made sure that the film will get a wide release across the world. It released across the world on April 14th on the eve of Tamil New Year. The movie had dubbed into Telugu as Police, and the film will hit the screens on April 15th. The flick released with a bang with packed houses and the film received positive response right from the first show all over. The film released in over 3500 screens all over the world and exclusive premieres have been planned in Singapore and Malaysia. The talkie collected Rs 15.5 crores across the country on its first day, and the overseas collections have been Rs 8.5 crores. Theri collected Rs 31 crores on its first day across the world. The movie has declared as a hit and Vijay has been received wide applause for his performance in the film. The premiere collection for the film in North America and Canada is $251k (approx 1.5cr). From France, it collected 21868€. It collected Rs. 1.04 cr from Chennai only.